Do you teach an Advanced Foods and Nutrition class? Looking for a rigorous assignment for students who have a strong understanding of the nutrients? You are in luck as Nikki Heflin, a Family and Consumer Sciences teacher of Indiana shares this breakfast lesson, several lab ideas and concluding assessment, placing students in the role of the dietician. Check out her lesson below! This is such an important topic to teach about, one I’ve honestly struggled with over the years. However, when teaching about infant safety this school year, I decided it was high time I put my trepidation aside and created the below lesson and activities. I’m not sure I’ve given the topic the justice it deserves, but it’s a start! As always, if you have additional ideas, please share in the comment section. 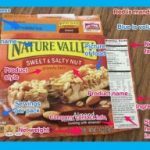 SKITCH: Food Label Information–Mandatory or Voluntary? One of the first apps we were introduced to when our school went 1:1 was SKITCH. I liked the labeling abilities of this app directly on images and thought it would be a great addition to my junior high lessons. So, I developed this activity around mandatory and voluntary label information that allows students to practice applying the information from their notes directly onto a photo label, showing me they understand the concept. This activity also allowed me to go more paperless as this lesson only uses a half-sheet of paper per student. So, if you’ve never tried this app, here’s an opportunity for you to do so! 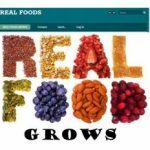 Patricia Papazoglou of Beloit, Wisconsin shared this impressive website, Real Food Grows! The website is an 8 week course covering nutrition and basic cooking skills for healthy living. I took some time to really explore this website and it’s chock-full of relevant information to teach topics such as sports nutrition, food borne illness, nutrients, grains, proteins, sustainability and culminates with a cookbook project. There is even a sequence guide provided if you’re not sure how to order the unit of plans. The website is set up in an organized, easy to use, tab friendly format with links embedded throughout. This would be an excellent resource for a beginning teacher, as well as a veteran teacher who needs to update their curriculum and interject some fresh ideas! So, what are you waiting for? Check it out and see what it has to offer! When I created QR Code Stations in my child development class to learn about newborn care, I had no idea that they would be such a hit! My students really like getting out of their seats, moving from station to station in order to learn about various topics. So, I decided to give it a try with the essential six nutrients and the results proved to be successful once again. 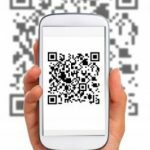 So, below you will find a new lesson about the essential six nutrients, utilizing the infamous QR Codes! Most FACS teachers are familiar with the Dietary Guidelines and know that they are reviewed and revised, if necessary, every five years. Students, on the other hand, are not as familiar with this concept. Unfortunately, it can be a difficult concept to teach, not because it’s complicated, but because it can be “dry” subject matter! In the past, when trying to teach this concept, students would get this distant, glazed look over their faces indicating to me that I was losing them! This “look” prompted me to develop something more interactive and student driven before even attempting to discuss the dietary guidelines, especially since we are a 1:1 school. 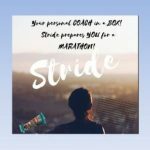 This post shares those activities so you too can avoid the “look”! If you have additional, activities for teaching this concept, please share in the comment section below. UPDATE: The links in challenge #4 are now fixed and all of the Breakaway challenges are again functioning! I’m sorry for the inconvenience this may have caused. Please download new documents as the previous ones for challenge #4 are no longer active. In my school, human reproduction and anatomy is taught in the Health class to all students in the ninth grade. So ideally, students should know this by the time they take my Child Development class as sophomores, juniors and seniors. 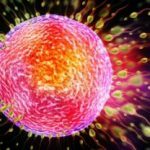 Unfortunately, students don’t always remember this pertinent information as we begin discussing conception and pregnancy, so a review is in order! This breakaway or breakout is used as a review for my classes, but could be used as an introduction to these topics as well. Either way, the activities should help to reinforce the terms and concepts to the male and female anatomies, their functions, diagrams and basic conception knowledge. Independence or singlehood is the most critical stage of the family life cycle. During this stage, one strives to become fully able to support himself or herself emotionally, physically, socially and financially. 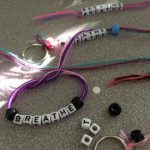 Utilizing Sharon Lipinski’s “7 Generosity Habits” and Learning to Breathe: A Mindfulness Curriculum for Adolescents , Sasha Roble, a FACS teacher from Pennsylvania, created this lesson which encourages students to strive for a healthy body, mind and spirit. 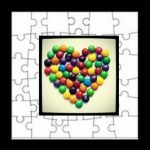 Keeping in mind throughout the lesson, that taking care of oneself means that you have a solid, strong foundation from which you can give to others throughout the family life cycle. After spending some time on managing one’s physical health, students in this lesson focus on the concept of mindfulness. Scientific studies show that mindfulness boosts your immune system, increases positive emotions, decreases depression and anxiety, grows additional gray matter in the brain, fosters compassion and enhances relationships. Subscription boxes are all the rage! Why not bring the concept into the classroom, letting imaginations run wild with your students, while they develop new ideas for them around a wellness theme? Thanks to Katie Kensinger, a FACS teacher from Branson High School, Missouri, you can! See her awesome idea below, along with some student samples.